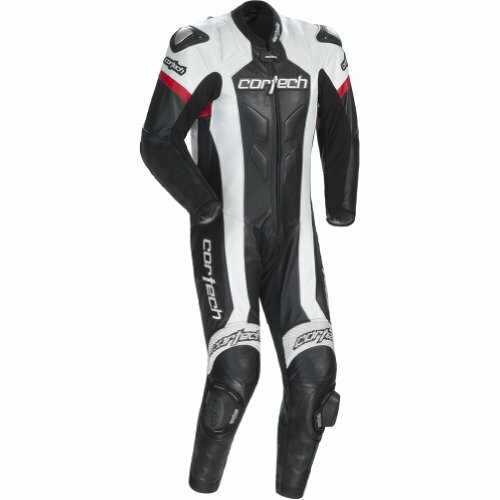 Cortech Adrenaline Men's 1-Piece Leather Sports Bike Racing Motorcycle Race Suit - Black/White / Large by Cortech at Chosen Hubs. MPN: 8970-0105-04-HH-LTX-AMA-A. Hurry! Limited time offer. Offer valid only while supplies last.